Warning: Image below may not be suitable for women, those with a heart condition, or those with weak stomachs. This blog is about my pursuit to retire in 1500 days. Getting my portfolio to a point where I can coast for the rest of my life is the primary goal. However, staying healthy is equally important. If you don’t have good health and quality of life, nothing else really matters. I never really understood the obsession to live a long life (is this strictly an American thing?). Don’t get me wrong, I don’t want to die young. However, what matters most to me is that I enjoy my life for the longest time possible. I’d rather live to be 70 and still climbing 14ers than live to be 90, but attached to a machine through a bunch of tubes. One of the main barriers people face when considering early retirement is health insurance. This is a topic I’ve been researching lately and MMM had an excellent post on it that I suggest everyone (well, if you’re in the U.S.) read if interested in acquiring insurance post retirement, pre-medicare. MMM’s solution, the same as many early retirees, is a catastrophic plan. This kind of plan has very high deductibles in exchange for lower monthly payments. I was pleasantly surprised to find that the monthly premium for a catastrophic family plan will cost less than half of what I currently pay for my company’s subsidized plan. Mr. 1500 has a “hate-hate” relationship with this thing. The problem with a catastrophic plan is that if you’re not healthy, it could get very expensive, very quick. The deductibles are high, often as much as $10,000 per person. So, you’re probably going to be paying for all of your doctor visits straight up. The bottom line is that doing your best to stay healthy is very important for us who dream of early retirement. Mrs. 1500 and I value our health very much. We exercise regularly and eat well. Our doctor visits are few and far between. However, we’d like to take it up a notch. Inspired my Mr. Money Mustache’s recent post about making his fitness goal public, we’re going to do the same. We both want to accomplish our goals by May 10, the day we leave for a vacation to Memphis, Chicago and Madison. My goal is to lose 10 pounds. This comes out to about 2 pounds/week. I’ll do this by eating well, stepping up my exercise and cutting out most alcohol consumption. While I’m not going to tell you my weight or supply you with a picture as Mr. 1500 is doing below, I will make my progress public. My goal is to be able to do 100 push-ups in a row. To accomplish this, I’ll be following the 100 push-up challenge. I did my baseline push-ups on 3/29 and cranked out the pathetic number of 26. I’ve got a way to go, but I’m going to do everything I can to make it happen. I’ll be eating right, abstaining from alcohol and going to bed at a normal hour so my body can recuperate. I would love to hear any other suggestions! For the sake of transparency, scaring women and pets, I’ve posted the “before” picture. I advise those of you with weak stomachs to avert your eyes. There will be an “after” picture. I’ve been debating since last week whether or not to post this picture, but I’m very glad I decided to do it. Since I took it last week, I’m crazy motivated: Chest burning on day 1 of the push-up routine? I think of this picture and push through the pain. Legs burning on my mountain bike ride yesterday? I think of this picture and crank through it. 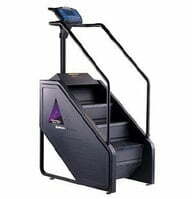 Feeling like I’m going to lose my lunch when I do 200 flights on the mini-escalator/torture machine at the gym? You get the idea. On May 10th, you’ll know exactly how each of us did. Mr. 1500, I didn’t really picture your face to look like that haha. You pretty much have the same body type as me. Not fat or anything, but also no significant amount of muscle/definition. I’ve been on a pretty decent pullup regimen this past week. I bought a doorway pullup bar from Amazon for $20. I get on the bar every time I either walk by the bathroom or every time I use the bathroom. It’s more than just health for me though, I need to score high on my physical fitness test that’s coming up within the next month or so. Good luck on 100 pushups. That’s definitely achievable. Maybe I’ll jump in on this one with you. I know, I’ll bet you’re pretty jealous, right? Sticking my body on there was enough, no more need for additional humiliation. Mr. Lego Man is much better looking and I hope he’s not angry for letting me use his face. Hopefully you’re not using the bar WHILE you go to the bathroom. I’m picturing something in my head that I really don’t want to picture. Ugggggghhh! Go away mental image!! But really, I was thinking about doing the exact same thing. I work from home and often I sit around for 2 minutes waiting for a server to finish doing it’s thing. I could easily crank out a couple sets (especially since they’re Windows servers [slooooow]). Loving the goal setting 1500 family. Mrs. 1500, My wife’s (and mine) best advice for the weight loss, just stop eating grains and most fruit. Substitute those for veggies and fat/protein. Most store bought grains are empty calories at best. Mr. 1500. My best advice to make the gains on time, switch up the variety of push-ups and add in other body weight exercises. Free form workouts are the best and tend to make the body work. Thanks much for the tips. 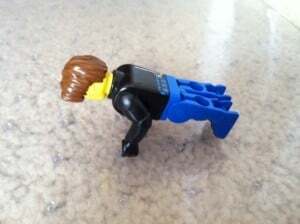 I hit the Internet and there are about a million variations on the standard push-up. Who knew? Certainly not me. Thanks again! Like JM, I really did not picture your face like that. 😉 Seriously though, I do agree that the cost of insurance can be a barrier to those who want to retire early. We were faced with this when I left my job last year and had pretty good coverage. Thankfully we have a good friend who is an insurance broker. We were able to get coverage that was only abut $40 per month more than what we had been paying through my employer. While not entirely catastrophic coverage, it’s definitely a HDHP and we’re fairly healthy so it’s not of much concern to us. Good luck with your goals! We will be calling you first when we sail off into early retirement! I’ve been called “hard headed” at times. I guess I now see what they mean. Loving the mask ! lol I need to work on being more healthy. I never really think too much about what I eat because I can eat about anything and not gain weight. I need to stop thinking like this and think more long term. Eventually my bad eating habits will catch up to me. Good luck to you both. Will be checking back for your progress updates. I never really think too much about what I eat because I can eat about anything and not gain weight. Wow, Mrs. 1500 and I would kill for that kind of metabolism! Good luck to both of you with your physical goals! The year before we got married Mr. PoP and I did the Body For Life program together and it was definitely easier to stick to working together. Mr – The 100 Push Up Challenge is no joke! I know a girl who followed it and gained a ton of upper body and core strength. Did you not expect Mr. 1500 to be so handsome? As long as I lived, I never, ever expected to hear “love” and “burpees” in the same sentence! Kudos to you! The health club we go to has this boot camp thing though which is quite miserable. The instructor loves burpees. I call them “throw upees” because that is what I feel like doing when the torture session, I mean class is over with. That is pretty bold posting the pic. I like the public accountability. My wife and I are always experimenting with different diet options and playing around with what we eat (she is an RD). I’m actually planning to try and gain 10lbs (of muscle) during May/June ala MMM. I don’t know if I’m bold enough to announce it publicly. Good luck and keep us posted. The accountability makes it incredible motivating. Now, I think about everything I put in my mouth and also the effort I put into my exercise. There is nothing I want more at this moment than for the “after” picture to look different than the “before” picture. Good for you and best of luck with the MMM challenge! I think I’ll do the push up challenge. My goal is 26. Mr – how do you get your hair to do that? Lots and lots of gel! I’m from Chicago, so I’m aiming for the Rod Blagojevich hair helmet look (minus the prison sentence). My goal was for the whole year. You’re going to jump from 26 to 100 in five weeks? Pretty impressive. Don’t be impressed until you see the results! Honestly, it seems very optimistic, but I’m going to do my best to make it happen. I agree with your assessment of burpees. They must have been invented in medieval times to extract confessions. I hate them. However, since people keep bringing them up, I’m going to incorporate them into the routine. Health care in the US is such a mess. Best avoided it at all possible! That picture lit a huge fire for me. I think about it when I’m working out all the time. Hopefully the motivation stays. I did the 100 push up challenge and it was fun. It was hard work, but so worth it. Oh man, I want to hear all about it. Were you successful? Great goals! For pushups, you might consider doing pull-ups as well (just a few each day, to stay conditioned) because you don’t want to have an imbalance of muscle. Pushups will condition pectoral muscles, while pullups will condition the back muscles. Good luck! Thanks for the advice, I’m definitely going to mix it up. Push-ups will be the primary exercise, but I’ll following them up with other exercises. Wow, I need to check out this 100 push up challenge. Sounds interesting! “Interesting” is one word for it. “Painful” is another! No pain, no gain, right? I am attempting the 8/16 eating plan right now because I need a fast start to get me motivated. I am attempting to add exercise but it is freezing cold here and I have no desire to move. I recognize that exercise is a fundamental part of staying healthy. I will have a very low income retirement so being healthy is important so that I can work as long as I need to and retire when I want to not when my body gives out on me. Never heard of the 8/16 eating plan, but I’d like to learn. Google doesn’t seem to be much help either, so fill me in! Being in Canada with a national health care plan, would that make early retirement easier? Perhaps I’m showing my ignorance here as I know 0 about the Canadian health care system. Grayson, thanks for the encouragement! I’m sure as hell gonna need it!